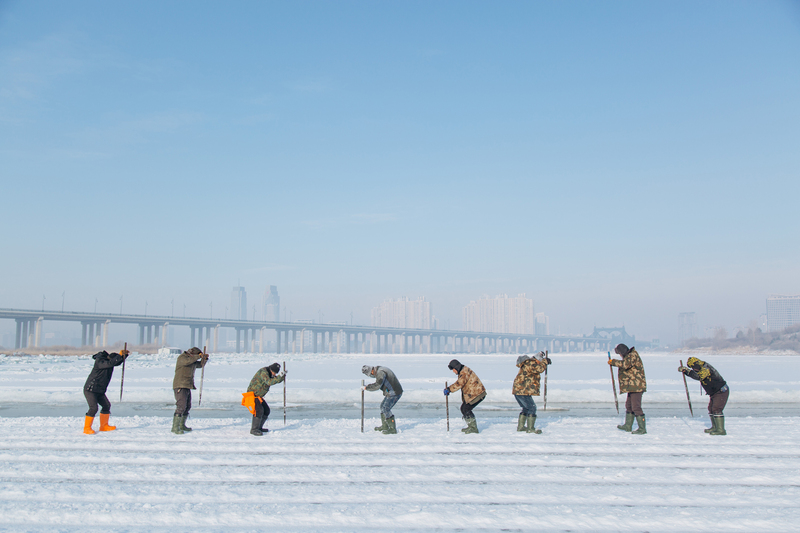 In this issue of Depth of Field, we take a ride on one of China’s slowest trains, meet the workers who cut the ice for Harbin’s winter festival, and follow two mentally disabled “sent-down youth” on a rare trip home to visit their families. Also: baijiu brewers, shrinking boomtowns, luxury retirements homes, and two families in mourning. As of the end of 2017, there were 241 million people aged 60 and older in China, more than 17 percent of the country’s population. 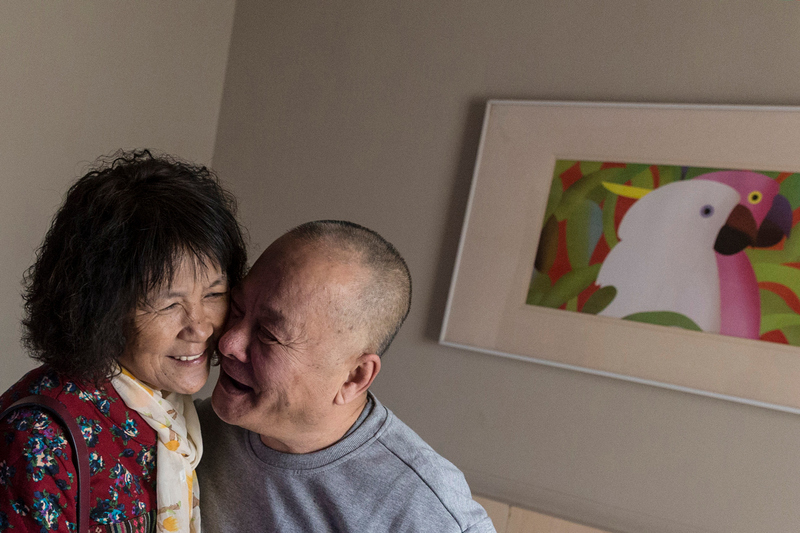 Longstanding Chinese cultural norms dictate that children should care for their parents when they get old, and many elderly citizens are reluctant to live in nursing homes. 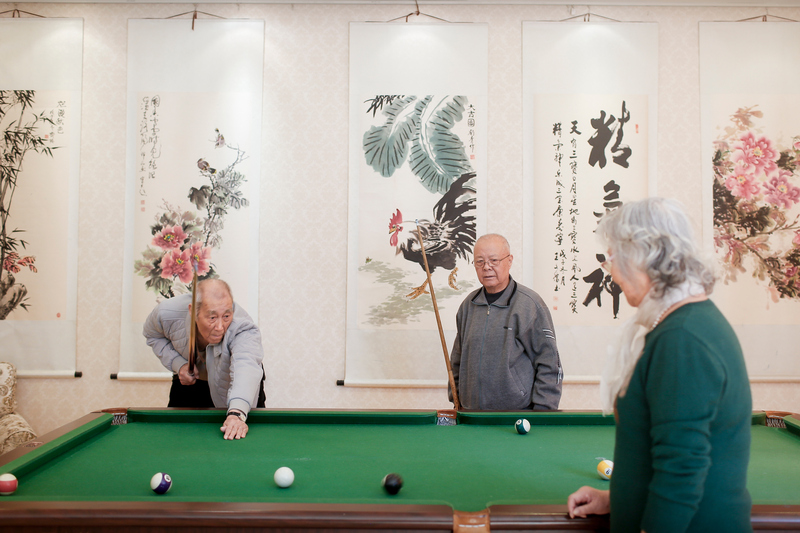 But increasingly mobile and prosperous Chinese families are beginning to disrupt tradition, and now affluent, well-educated seniors are signing up to live in luxury senior centers that can cost 10,000 renminbi (U.S.$1,580) per month—more than the average monthly income in Beijing—for an apartment, not including care and meals. Photographer Wang Dansui’s pictures offer a glimpse into a few high-end senior facilities in and near Beijing, which are outfitted with swimming pools and offer classes in subjects like English and computer programming. In June 2017, an arson case in Hangzhou grabbed the nation’s attention. A nanny, Mo Huanjing, deep in gambling debt, made a plan to set fire to her employer’s home and then extinguish it, hoping the family would reward her financially. Things didn’t go as planned: The fire killed the three children she cared for and their mother. The father, Lin Shengbin, was spared, as he was away on a business trip at the time. Most of the coverage of this incident has focused on Mo, who was sentenced to death a week before Lunar New Year, and on the issues of income inequality that this event brought to light. 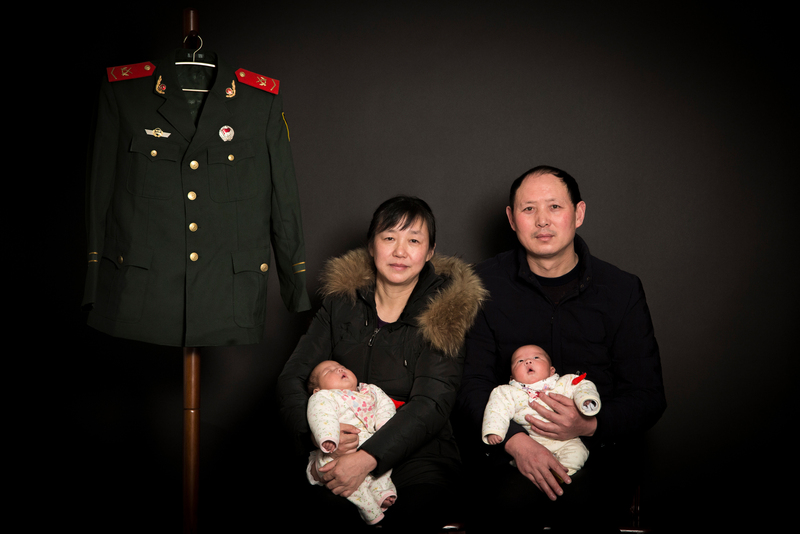 Photographer Li Qizheng happened to meet the family three years ago, and since the fire he has followed Lin as he struggles to deal with the tragedy. Fang Zhiying and her husband Pang Fangguo lost their only son, Pang Ti, a firefighter who perished in the 2015 Tianjin Explosion. The couple was devastated, but ultimately decided to try to have another child with the help of IVF treatments, even though Fang, 47, has been dealing with multiple health issues, including complications from a stroke she suffered in 2007. After three failed attempts, Fang succeeded in becoming pregnant. She gave birth to twins, a boy and a girl, in December 2017. Photographer Jia Dai Teng Fei followed the couple through the process, intimately documenting their journey to build a new family while remembering their lost son. China’s national liquor is baijiu, an alcohol distilled from fermented sorghum. Maotai, the most renowned brand of baijiu, has been brewed in the town of Maotai, Guizhou province, in southwestern China for centuries, and in recent decades has been a staple of lavish official banquets and a widely accepted currency for bribes. 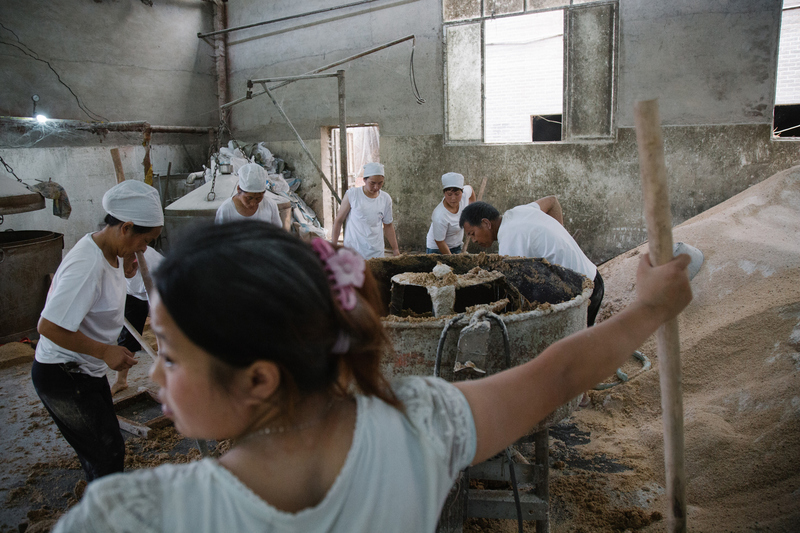 Up until a few years ago, almost everyone in the town of Maotai was involved in the business. But, according to Sixth Tone, Xi Jinping’s anti-corruption campaign has caused the sales of baijiu to plummet. In this story, photographer Wu Huiyuan looks at how the famed liquor controls the fate of the town, and what the future holds for its residents. The northeastern city of Harbin is renowned for the fanciful and gigantic structures it builds for its annual winter ice festival. Before the exhibit opened this year, Sixth Tone photographers Shi Yangkun and Wu Huiyuan documented the group of middle-aged men who work mostly as farmers in the summer, as they rose at 4:00 a.m. in freezing temperatures to cut huge blocks of ice from the Songhua River for the exhibit’s sculptors. In 2014, Tencent published a photo story about the only nursing home for former sent-down youth with mental illness. This winter, the Beijing Yurun Foundation helped two residents of the nursing home in Jiamusi, Heilongjiang province visit their homes in Tianjin for several days. For one of the residents, it was his first trip home in decades. 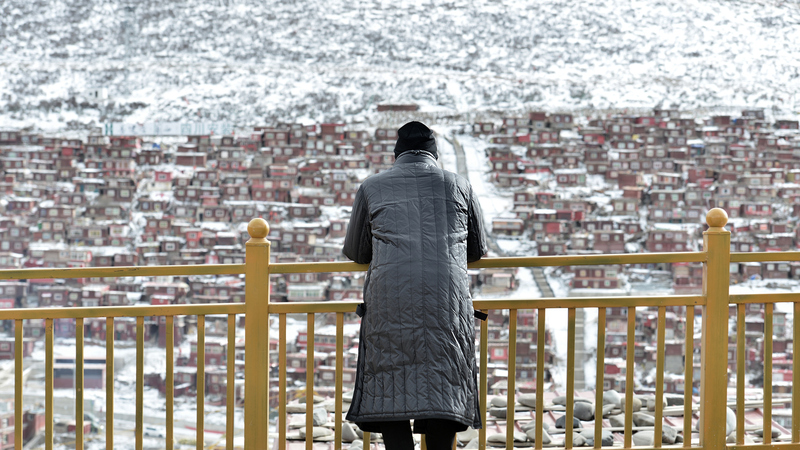 Tencent photographers Wu Jiaxiang and Che Yicen documented their journey. 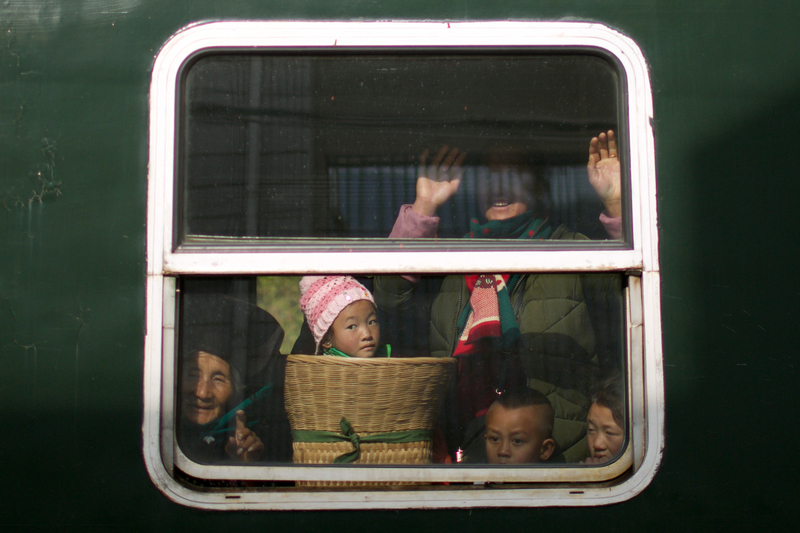 In the age of bullet trains and Maglevs, their poky forebears are still the only mode of rail transportation in many rural areas of China. 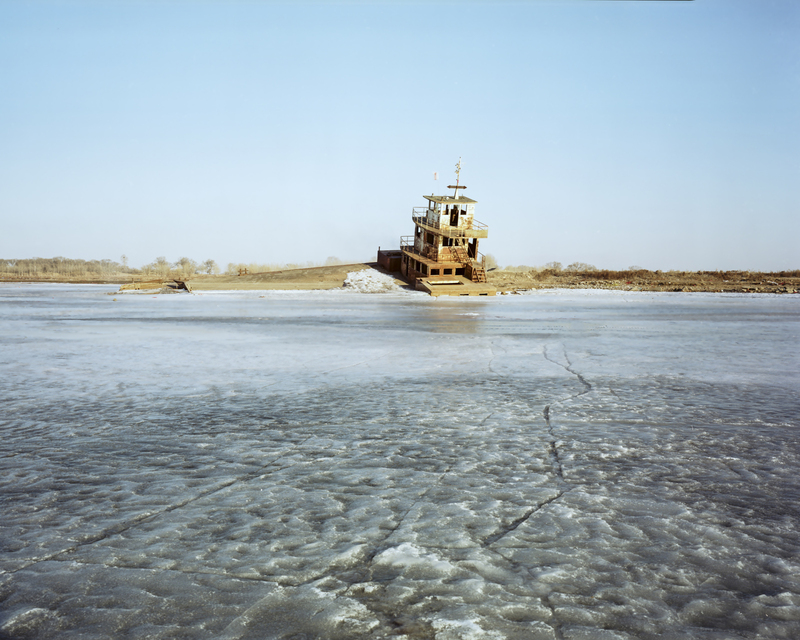 Tencent photographers Zhao Heting and Feng Haiyong photographed three slow-train routes: Urumqi to Hotan, Xinjiang; Shuangyashan Mining Railway, Heilongjiang; and Panzhihua to Puxiong, Sichuan. 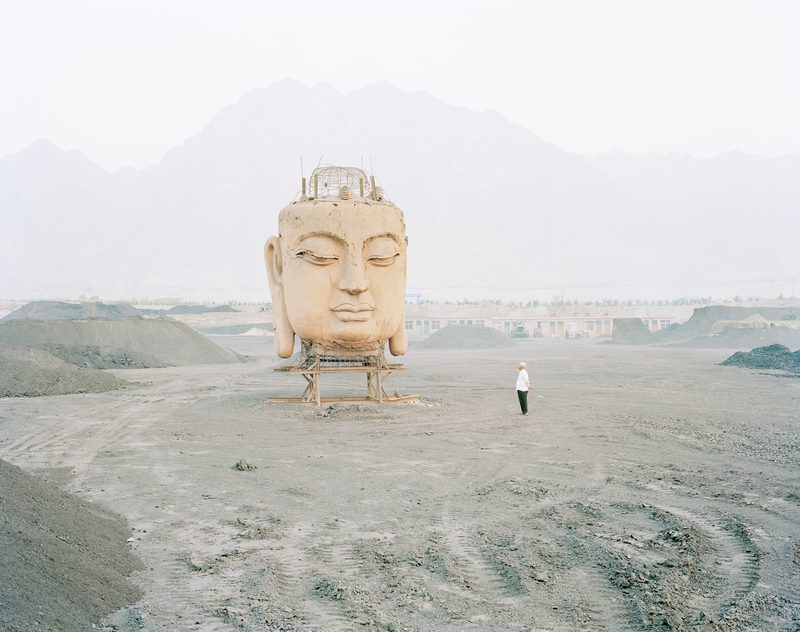 Sixth Tone published a series of profiles of five distinguished Chinese photographers working in various genres: Liu Hueng Shing, Zhang Hai’er, Zhang Kechun, Chen Man, and Ma Liang.